LMU Costa Rica 2017 has begun! Dr. Auger and Maria arrived in San Jose’ today, along with two course participants who decided to travel a day early (Erich and Melissa). The weather is typical for this time of year (the rainy season) = warm, humid, and slightly cloudy. The rain (la lluvia) began mid-day today! 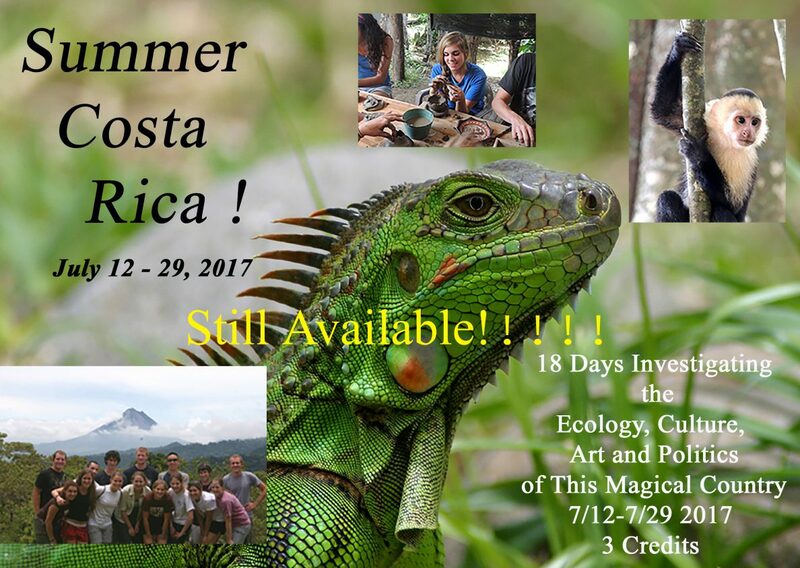 It is wonderful to be back in Costa Rica … for CURes’ 5th year running the Tropical Ecology and Culture course out of the Biology Dept at LMU. The experience is sure to be a life-changing one for the course participants. We are staying tonight and tomorrow night at the Hotel La Rosa de America. It is a tropical paradise! https://larosadeamerica.com/. The Manager, Maria Fernando has been amazing, and all the staff here are friendly and hospitable. The food is delicious! Other course participants arrive tomorrow and we know they will be thrilled with the accommodations. Below are some pics we took this morning of some of the local birds, tropical flowers and plants, and the beautiful butterflies we thought you might also enjoy.